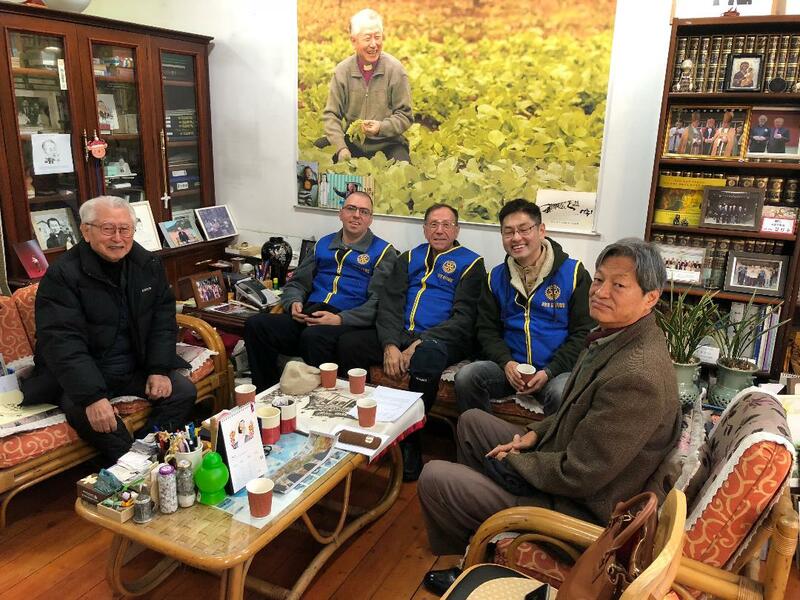 WPRC President Larry Myers continues to engage Rotary in the Republic of Korea. 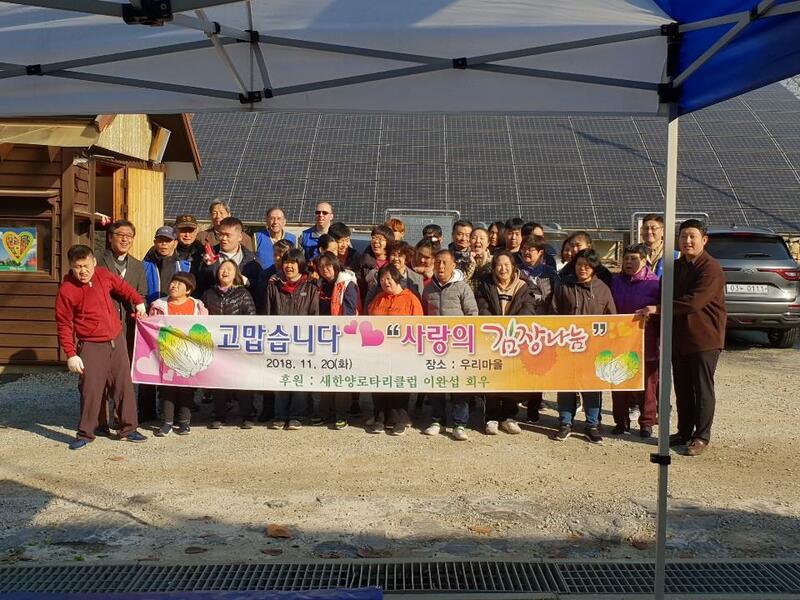 He and his son Christoph, who is visiting him for three weeks, assisted in two service projects during the week of the U.S. National Day of Thanksgiving. 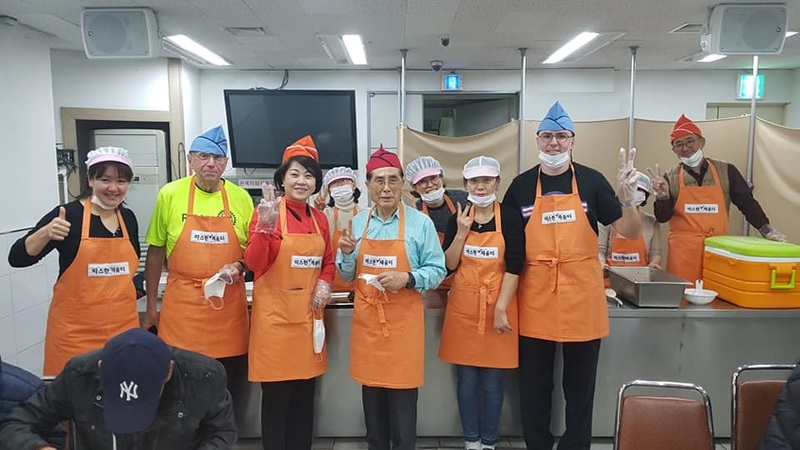 On Monday, November 19, they assisted the Rotary Club of Seoul in feeding 400+ homeless in downtown Seoul. 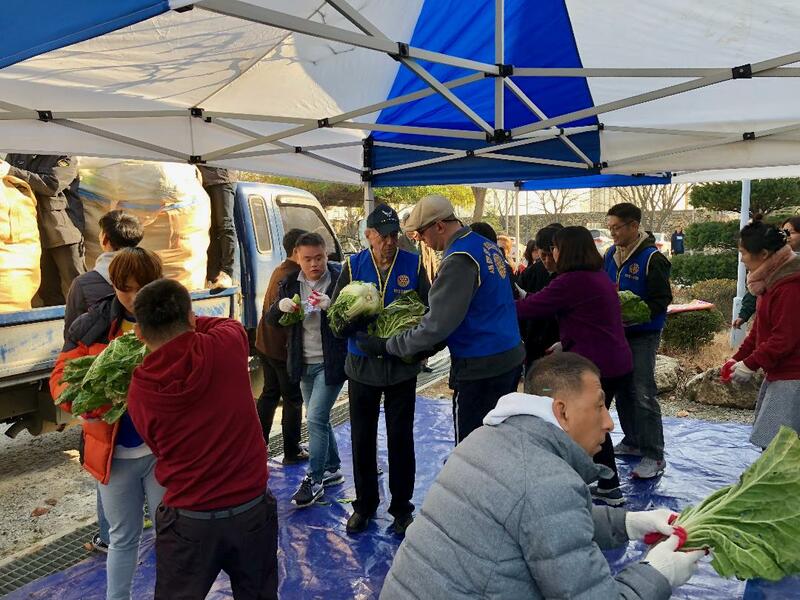 On Tuesday, November 20, they assisted the Sae HanYang Rotary Club, Seoul, in unloading 500+ Chinese cabbages and 200+ Korean radishes (in preparation for making kimchi) at the Ganghwado Urimaul in Incheon, a residential training and employment program for the developmentally disabled. 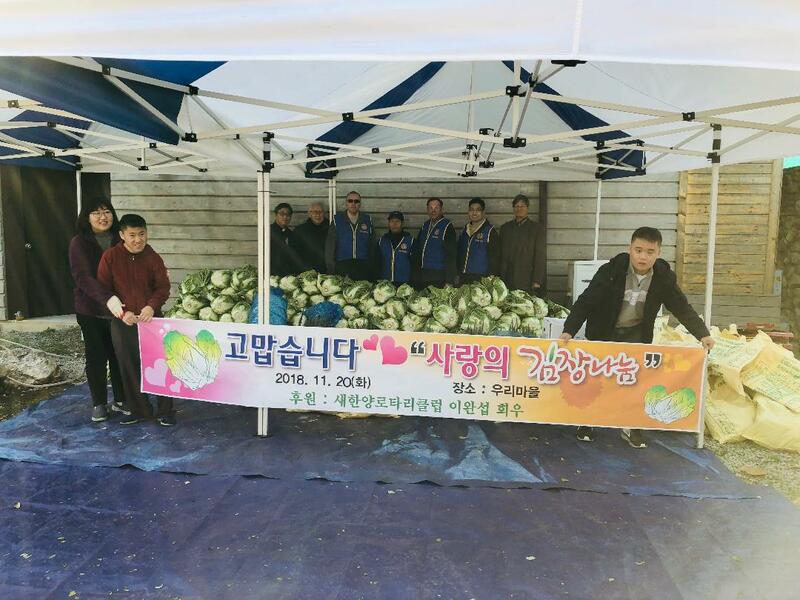 On the evening of that same day they participated in the gala 91st Anniversary of the Rotary Club of Seoul. 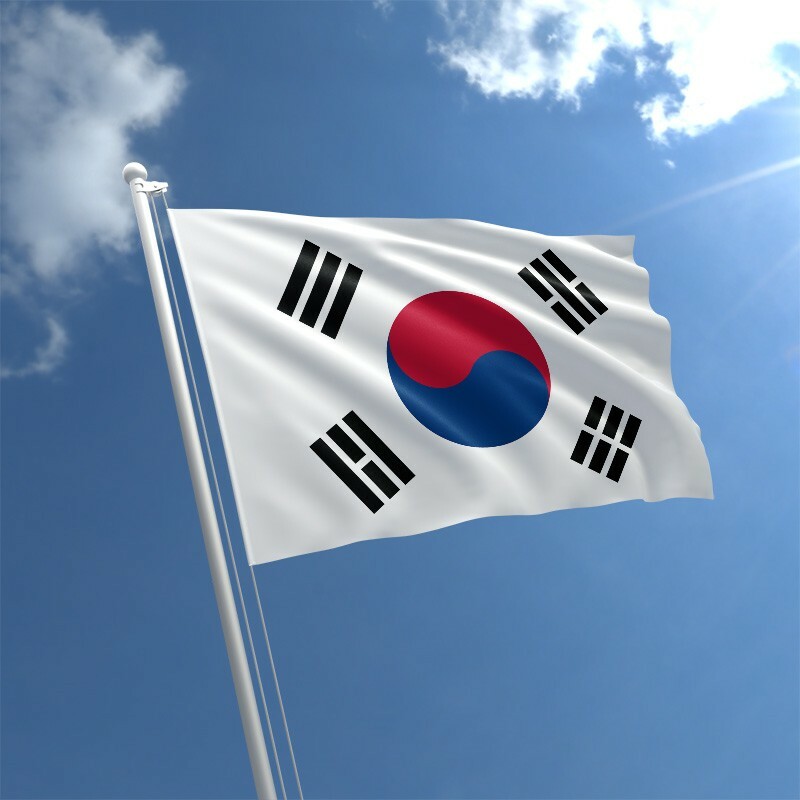 The Rotary Club of Seoul is an English-speaking club founded in 1927 that is the oldest Rotary club in Korea.